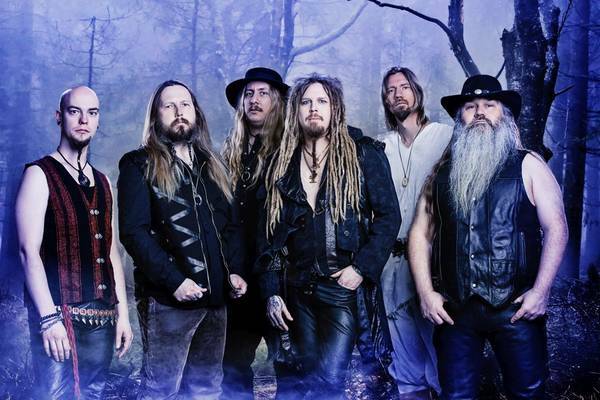 Finnish folk metal band Korpiklaani have released a new single called FC Lahti. It is a special release and not part of an album marketing drive or the like and is instead to support and celebrate the 20th anniversary of their local football team called, yep, you guessed it, FC Lahti. So I must admit that before starting this track I was a little apprehensive as it is obviously written in relation to such a specific subject that it may not really work as a track of its own but new music is still new music and thankfully, this one is still catchy and very Korpiklaani. It is meant to be an anthem for the football team and is a jovial, bouncy track sung completely in Finnish, well other than multiple moments full of La La La’s that we can all sing along too. It is a very folky song though has a prominent guitar riff throughout the verses but it is really the accordion and violin that stand out as the main instruments here. The song plays at pace throughout with a chorus that includes many shouts of FC Lahti and even throws in a violin solo before building into an end which will have everyone raising their beers and bouncing along. Great fun for the 3 and a half minutes it plays for. And while you are at it, why not look at picking up some other tracks from Korpiklaani – you won’t be disappointed.